I would like to buy this. It's a little something I found online while shopping for Father's Day gifts (very unsuccessfully, I might add). 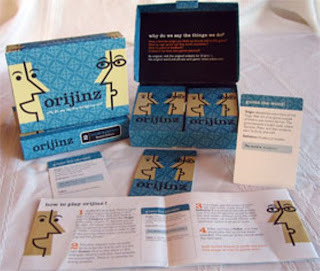 As the picture shows, the name of the game is Orijinz. The object of play is to guess the correct word or phrase after listening to the origins of the word in question. Very interesting... although I think Matt would wipe the floor with us.